Welcome to ACCU-DYNE MACHINE TOOL, INC. where our motto is "Precision with Pride." 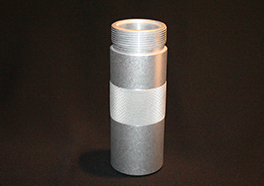 We are a modern CNC machining facility that serves a multitude of different industries. Since our founding in 1987, we have been focused on producing a quality product with a quick turnaround time. It is imperative that our production times be quick because we know that some of the industries that we serve, such as the medical or the research and development fields, require these parts in a timely manner. ACCU-DYNE MACHINE TOOL, INC. produces any product that our customer needs. 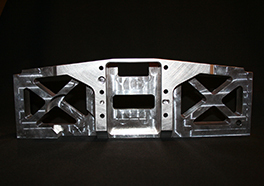 Our CNC machining facility can produce prototypes and custom design pieces with tolerances specified by our clients. Our machines have the capabilities to handle both short and or long production runs. Regardless of the quantity of products needed, each and every piece will be created with the same accuracy and precision needed to produce the best quality product. We have a wide range of expertise. At ACCU-DYNE MACHINE TOOL, INC. we perform work for the medical field, laboratory robotics, cryogenics, aerospace, printing industry, plastics, electronics, automotive, lasers, and the computer industry. 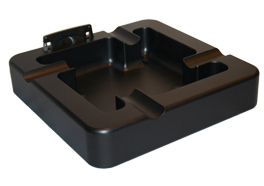 To achieve this, we have assorted CNC Machining, CNC Milling, CNC Screw Machining and CNC Turning equipment, with vast capabilities to produce the quality products our customers demand on every project. Contact us today for a detailed and timely quote, or to visit our CNC machining facility. 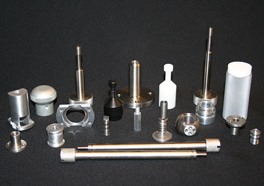 ACCU-DYNE MACHINE TOOL, INC. offers you high quality, custom products that are made in the USA. All Rights Reserved © ACCU-DYNE MACHINE TOOL, INC.